Undiluted sake, chill in ice Pocket bottle! Comfortable light weight is a charm "cultus" series. Enjoy the world of traditional craftsmanship and gold leaf. Woven in shades of deep blue and gold luxury. use < br > by the warmth of the hand-made frame attached. Enjoy utilizing traditional artisan Yachiyo kiln glassware. 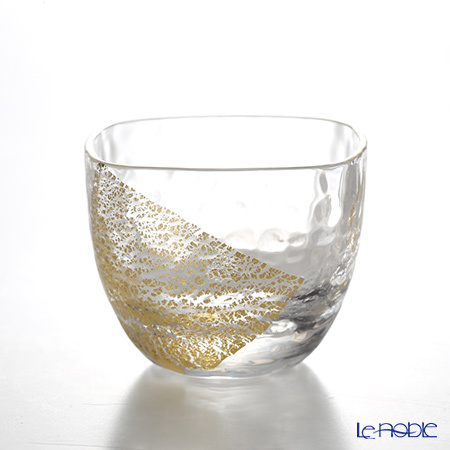 Sake set is fascinated by the shine of gold leaf, dignified atmosphere. Enjoy the texture of the rock style makes you feel the warmth of the hand-made! Small glass instrument series popular buffet style, easy to use! Seen from on - sword diamond Crest - shaped feel traditional beauty of Japan. Viewed from above, sparkling glass, gives shine to the liquor is poured. Make your online rendition of the special sting in ornate ceremonial champagne Tower! Make your online rendition of the special sting in ornate ceremonial champagne Tower glass! Yachiyo Kiriko is the flagship glassware line of Toyo-Sasaki Glass. Small glass instrument series easy to use and popular buffet style.